'At least we can all agree the third one is always the worse' states Sophie Turner's character Jean Grey after a few of the mutants come out of a screening of 'Return of the Jedi'. Unfortunately this is also the case for Bryan Singers latest instalment which completes the new X-Men trilogy. Moira McTaggert (Rose Byrne) stumbles across an ancient cult who believe in a super mutant, Apocalypse (Oscar Isaac) who ruled thousands of years ago. Now awakened he assembles four followers including Magneto (Michael Fassbender) to take over the world. It's up to Charles Xavier (James McAvoy) to join forces once again with Raven (Jennifer Lawrence) and the latest students at his school to save the world. 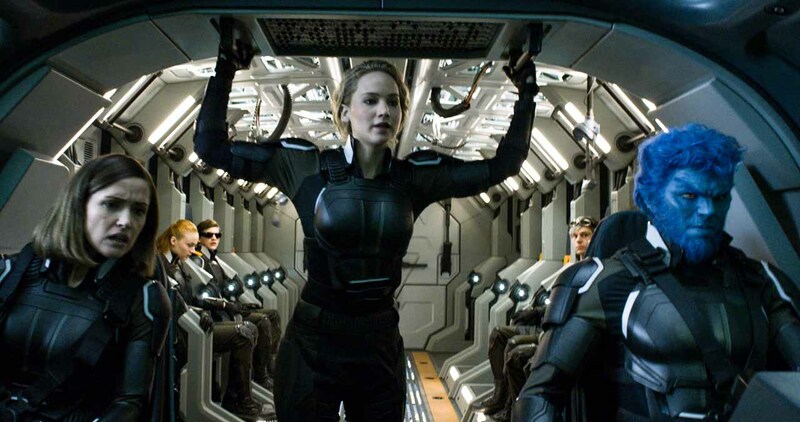 Fatigue certainly seems to be a clear problem within the latest of the highly successful and popular X-Men franchise. In saying that 'Apocalypse' is far from being a bad movie. The problem is with nowadays that it is just fine, nothing more. The film follows the common formula within superhero movies where a large powerful villain rises and threatens the safety of the entire world. This is fine to do and can be done well. However the problem is that it is nothing new. This made the film to be very predictable and seemed to take away the stakes as it seemed to be something we're all used to. Everything has done before and being perfectly honest, it has been done better. From the start it really seemed to be lacking that tension and excitement that are often apparent in superhero movies. Maybe due to the previous instalments it was there but just couldn't match its clearly superior previous instalments. I guess I've finally reached that point where it is becoming stale. I guess this also shows how I enjoyed 'Civil War' and fellow Fox property 'Deadpool' so much this year. Both of these films didn't have the conventional ending of the entire world being threatened which proved to be a good change. There are most definitely things that the film does well and this is no more so than with the action. I had a great time watching all of these mutants coming against each other creating some great moments. The action is thankfully at a very high quality and does the film justice. 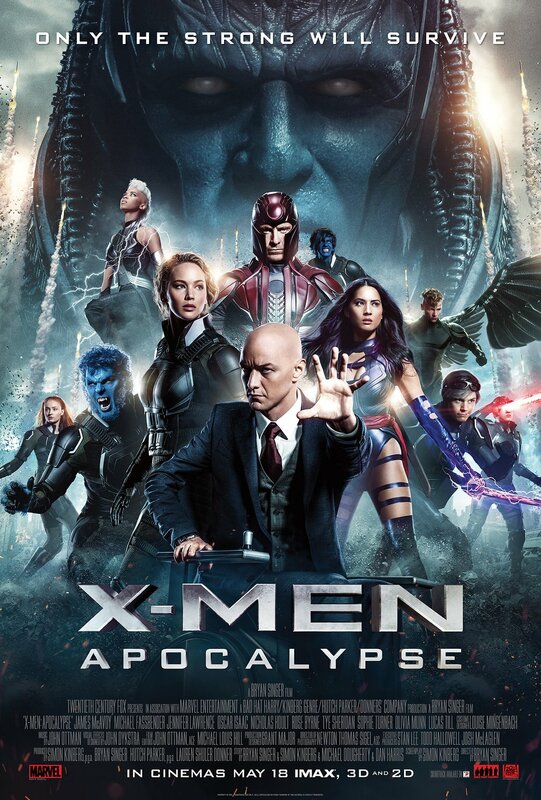 However something that I do feel that lets it down is that Apocalypse hardly has much effect in any of the actual fight scenes. For a main villain to delegate everything to his followers and hardly do anything himself doesn't make him seem as strong as they could have possibly made him. Apocalypse was said to take the powers from those whose bodies he has taken over. This explains to the audience to why Apocalypse's powers are never really explained or defined that well. I'd like to see a feature of Apocalypse taking over the body of the mutants whose ability was being able to trap people in walls. 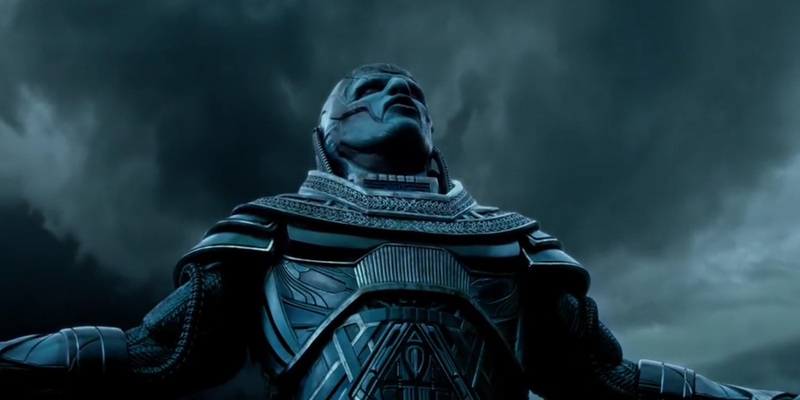 Oscar Isaac does alright in this role as Apocalypse's main strength seems to be convincing those to join his side. This gives Isaac a chance to showcase his acting chops but nowhere near enough to create a great villain. The casting and character looked to be a great match but Apocalypse fell flat for me and wasn't striking enough to really be feared. There are some mixed feelings for me towards the other new characters. First of all, the new characters all looked incredible and were great to watch. I am looking forward to seeing more films featuring the newer cast members as they seem to work very well together and produced some great moments. In saying this though, there was nowhere near enough depth towards our new characters. This is no more clear than with the three other new followers of Apocalypse. We get a small look at Storm's origin and life when we first meet her and then literally nothing else in the rest of the film. Angel gets exactly the same treatment but with a bit of history against new student Nightcrawler (Kodi Smit McPhee). 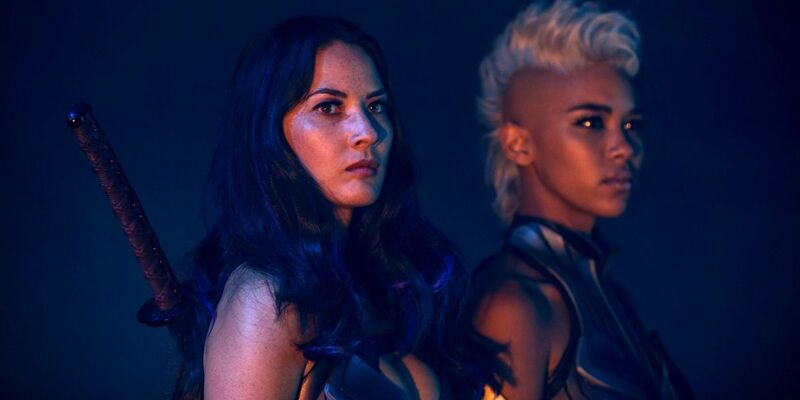 Psylocke is probably the one that hurts the most as we learn pretty much nothing about her. We see her confronting Apocalypse, then being convinced and then nothing new from her. These are all a real shame as they are truly fascinating characters who you want to know more about but unfortunately, there was little time for this. You could say that there wouldn't of been enough time for this but you most definitely could have replaced moments or sub plots to make time to flesh out character motivations or personalities. 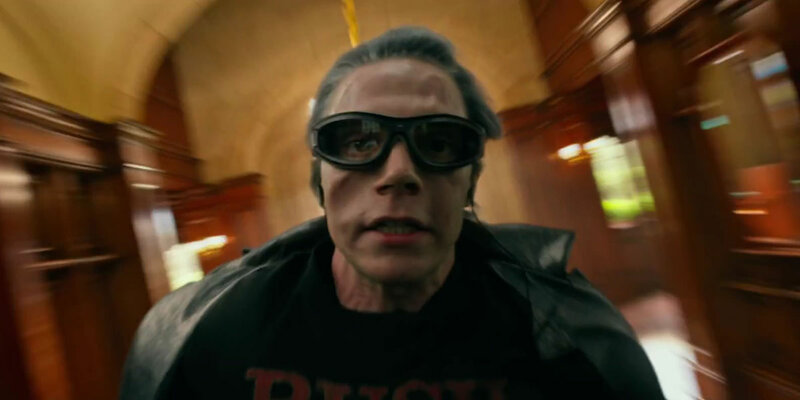 One of the main highlight again involves Quicksilver played by Evan Peters. Although not as great as his wonderful scene in 'Days of Future Past', it is still great fun to watch. The stakes are higher in this scene however which does also Quicksilver to do a lot more things heroically and comically. It is incredible to see once again showing the ridiculous speed he possesses and is something that makes you wonder how on earth they managed to create it. The ability to take such a serious scenario and take a light hearted approach to it was great again. Overall I would say I was disappointed by 'X-Men Apocalypse'. That does not mean that it is a bad movie in the slightest though and maybe that it just didn't offer enough to reach my expectations. There was potential for this to be a great film but it turns out to just be fine. So have you seen 'X-Men Apocalypse'? If so what did you think of it? I hope you enjoyed this review and hope it was helpful for if you were thinking about seeing the film. Once again thank you for reading my review, it is much appreciated.